1st Edition 2015, 270 p, 398 illus. Written by the leading authorities in the field, Essentials of OCT in Ocular Disease is a core clinical reference on this important new technology used to examine the structure of the eye. 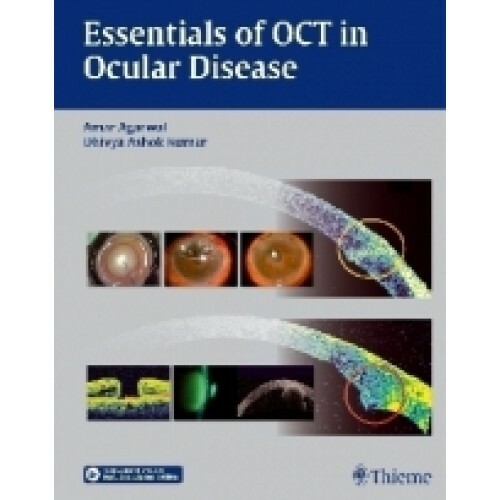 It provides residents and practicing ophthalmologists with essential information on how to use OCT in various clinical scenarios and guidance on patient management. Chapters include coverage of recent innovative diagnostic applications as well as OCT-guided surgical procedures,including IOL position, DMEK, PDEK, GLUED IOL, and subtenon injection. This book is an indispensable clinical guide for residents and fellows in ophthalmology as well as an excellent desk reference for practicing ophthalmologists -- it will be a treasured and clinically useful volume in their medical libraries throughout their careers.